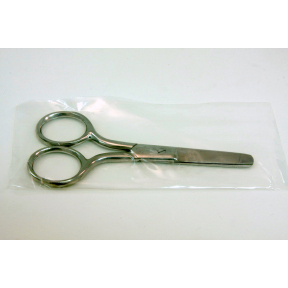 Travel size scissors. Size: 4 inches. Round tip.